Life on this planet is, after all, a sometimes scary place. And courage is all about “learning to live with it”. I’d always linked my anxiety and depression to early trauma during childhood: especially my reaction to my brother’s accident from our beloved Shetland pony. Only later did I come to realise that I was born with a hypersensitive nature, which was sorely tested by traumatic events during childhood and adolescence. Then in 2003, my adolescent daughter was diagnosed with Bipolar Illness, which has a largely genetic (and chemical) component. 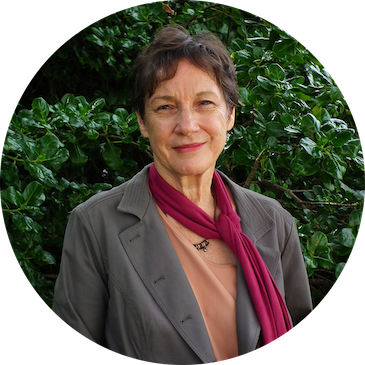 The psychiatrist who gave the diagnosis said hers was severe: Bipolar 1. Bipolar Disorder used to be called “Manic Depression”, and is characterised by huge swings between psychotic (manic) episodes and clinical depression. Because of its seriousness, sufferers are usually hospitalised during serious “events”. They are treated with mood stabilisers and anti-depressants, as well as with anti-psychotic drugs, at least in the initial phases of the illness. This is to prevent suicide during the depressive phase, which is often intense and long-lasting. 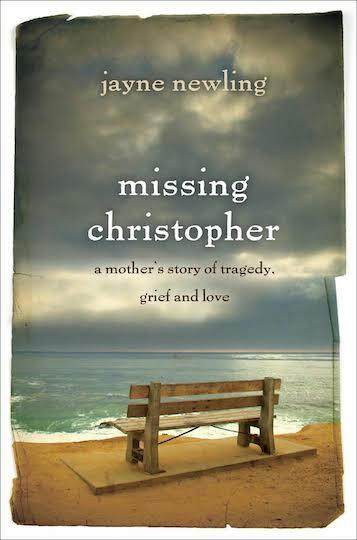 “Missing Christopher” is a memoir by journalist, Jayne Newling, the mother of three teenage sons who were suffering from depression, and focuses on her inconsolable grief after one of her boys took his own life at seventeen. Not so long ago, sufferers might have been placed in institutions for long periods, and given primitive electroshock treatments. With the more recent availability of pharmaceutical drugs that work, the prognosis is a lot better for sufferers, especially if diagnosed early. Many well-known artistic and sporting Australians secretly receive ongoing treatment for emotional disorders, including Bipolar Illness, so as to be able to carry on in their chosen fields. Mental illness often strikes artistic and creative types, because they are operating closely within their emotional energy fields. Ambitious and “driven” sporting athletes make up another cohort of potential sufferers. But because of the stigma associated with declaring yourself mentally ill, sufferers often choose not to reveal the truth about this. There is so much more help these days, with both face-to-face and online programs, for those suffering from mental illness. Much more than when I had to face up to my own and my daughter’s problems. You no longer have to become one of the sad statistics of suicides that we often read about in the paper today. The “Black Dog Institute” played a large role in supporting my daughter and helping her achieve her current state of ongoing health and happiness. “She’ll grow out of it!” or “Pull up your socks!” are no way to react in the face of emotional disorders such as depression and anxiety. One of the symptoms of psychosis is extreme anger outbursts, often against loved-ones. But this is also true of some personality disorders. So a correct diagnosis is essential if a young person is exhibiting worrying behaviours. Shame, because of the stigma associated with mental illness, is widespread in society today. This compounds the problem, as depressed individuals are often loathe to ask for, and to accept, help. Many sufferers fight against taking pharmaceutical drugs. When the initial symptoms occur they often self medicate with alcohol or drugs, which makes the symptoms worse. The other problem, of course, is the lack of appropriate facilities and health care support groups in many areas. And knowledge and understanding of the serious nature of clinical depression and bipolar illness are often sadly lacking in society. I am passionate about making a difference in this situation, and I’ve written books, yet to be published, about my experience and my daughter’s battle and victory over the illness. The good news is that, through the attitude of openness and help from professionals, sufferers can learn to manage their illness and enjoy an exceptional experience of life, good health and wellness.